The Specialized Transportation program is an innovative alternative to individuals’ transportation needs. This service allows individuals in need of assistance the freedom to go places, attend activities, and move about their community as unrestricted as possible. Supportive Concepts for Families, Inc. provides trained staff members and corporate vehicles, vans and ADA equipped ramp/lift vans to transport individuals. As an alternative to an ambulance or taxi, this service offers support in a way that is cost-effective and personalized. Furthermore, the program allows the individual the least restrictive and most natural transportation service. 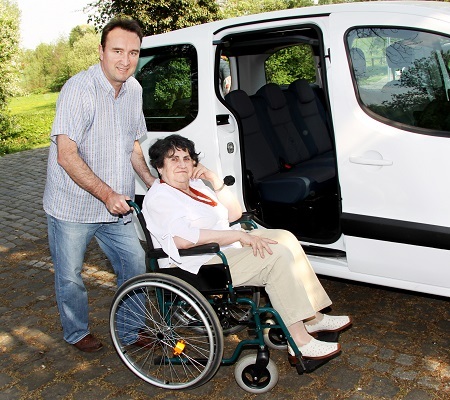 We believe that services provided in a vehicle or handicapped accessible van greatly reduce anxiety and confusion. With this program, the individual has increased transportation options. The service rate includes a driver of the vehicle as well as mileage and the companion service while participating in the activity or event. Specialized transportation can be accessed in emergencies and can be prearranged for long trips or extended weekends.